Marine organisms such as barnacles and zebra mussels have been a long-standing nuisance to ship hulls, causing exterior damage, increased power and fuel consumption and environmental concerns. 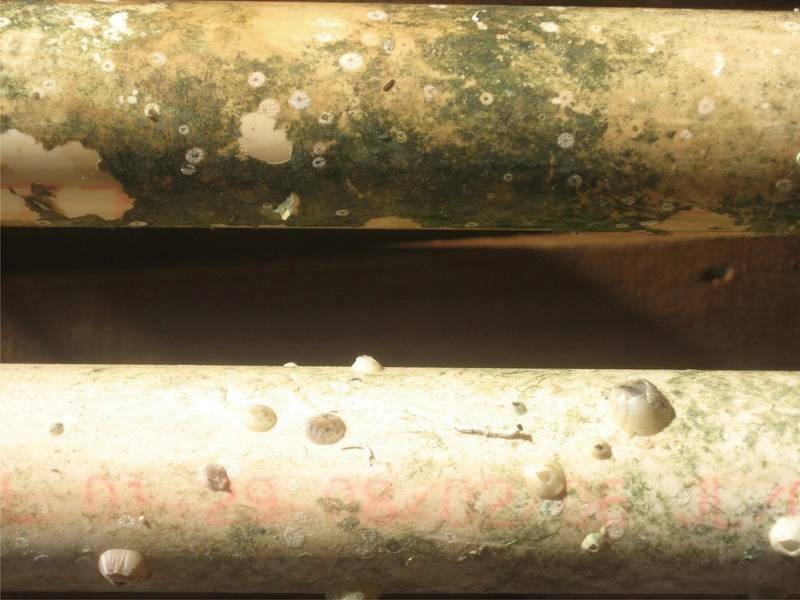 While anti-fouling coatings help to prevent biofouling, a new research study suggests that an innovative approach to marine coatings may solve the problem of barnacle and zebra mussel fouling, an approach stems from the MOSI (Marine Organism Sensory Interference) concept. MOSI uses a unique coating tech to interfere with the sensory ability of juvenile barnacles, fooling the organism into producing an “adhesive” that does not attach to the host surface. Developing this concept and prototype coating involved a deeper understanding of the organism’s biology, specifically the metamorphosis of adhesives they create. Barnacles are arthropods (sub phylum Crustacea) and are related to crabs and lobsters. About 1,220 barnacle species are currently known to exist, including the infra-class cirripedia (translated from the Latin as “ringlet-footed”). These salt-water and fresh-water marine organisms are common in shallow, tidal waters and become permanently attached to marine objects such as rocks, pilings, buoys, boats, ship hulls, docks and marine life. They secrete hard, calcium carbonate plates that completely encase them like a cone-shaped hive. Four or more of these plates form a “door” that the barnacle can open or close. Feathery appendages, called cirri, extend and retract through the opening at the top of the barnacle and sift for algae and microscopic organisms on which to feed. According to the U.S. Department of Commerce, National Oceanic & Atmospheric Administration (NOAA), barnacles attach to surfaces using a lipid primer: fatty acids that are insoluble in water but soluble in organic solvents found in natural oils, waxes and steroids. This lipid primer excludes water from the surface and extrudes a protein adhesive with a tensile strength of up to 5,000 pounds per square inch and an adhesive strength ranging from between 20 and 60 pounds per square inch. The adhesives extruded are metamorphic and change in composition cued by the surface on which the organism settles. NOAA claims that barnacle colonies create drag on ships that causes a decrease in fuel economy, leading to significant economic and environmental costs. One study showed increased fuel consumption due to fouling among U.S. Naval ships of 10-20 percent.1 Overall costs associated with hull fouling on the U.S. Navy’s Arleigh Burke-class destroyers alone has been estimated at $56 million a year.1 Extrapolate that figure to include the estimated 52,000 merchant cargo ships of similar or larger size, and the cost of fouling to the overall marine industry may reach $5.2 billion a year or more. Juvenile barnacles adjust the chemistry or composition of the protein adhesive they use for attachment to suit a variety of host surfaces. It is hypothesized that if barnacles were only able to produce one single adhesive formulation, they would not be able to adhere to the wide variety of surfaces found in marine environments. Therefore, if a non-ablative MOSI coating technology could be formulated that would interfere with the barnacles’ ability to create this metamorphic adhesive, cued by a host surface — or to “taste” the host surface to determine what adhesive to produce — then the barnacle would not be able to bond. The coating would function as an obstacle for the production of the proper adhesive, essentially inhibiting its ability to adhere. 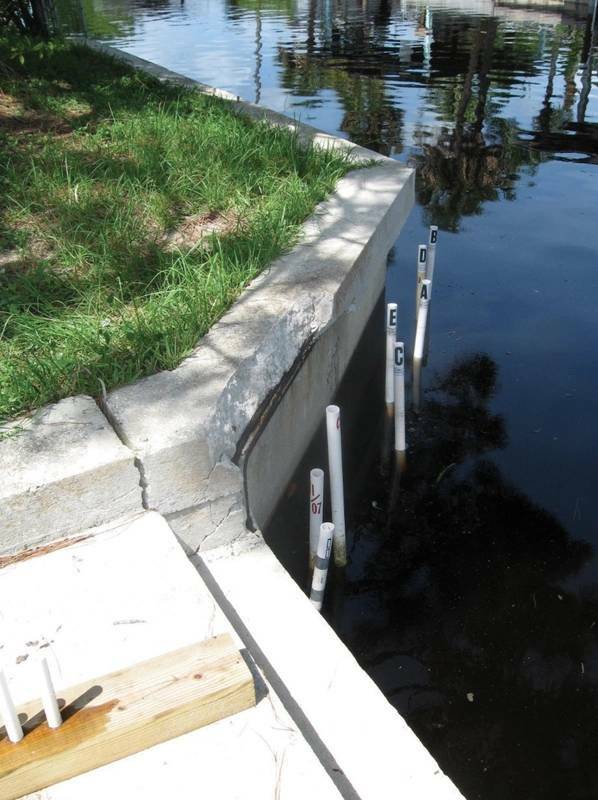 To test the MOSI theory, a barnacle growth study using experimental maintenance coatings was conducted in the Gulf of Mexico at the Lemon Bay Ocean Exposure Test Site in Englewood, Florida (latitude 26o 56’ 0.83” N, longitude 82o 20’ 46.8” E). The test site was located in an area where boats are moored and fouling is a common problem. The goal of the study was development of a durable, anti-fouling marine maintenance coating that dissolves or damages the fleshy “tasting” organ of the barnacle, has low solubility in water, and contains no tin or copper compounds that can accumulate and damage the marine environment. A functional vinyl chloride /vinyl acetate /maleic anhydride terpolymer resin, referred to as VMCA, was used as the control coating as well as the vehicle for the experimental additives. It was chosen because it has excellent adhesion to the rigid PVC pipe test articles as well as aluminum and steel. Also, VMCA resin provides a durable, weather- and salt water-resistant coating film without any additional ingredients. 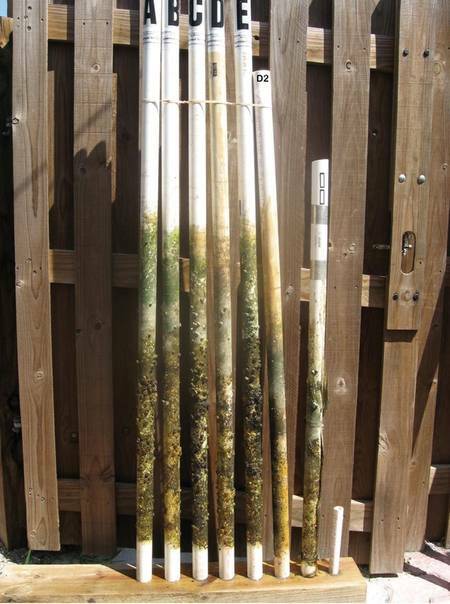 The test articles for this study consist of 4-ft. lengths of 1.25-in. white Schedule 40 PVC potable water pipe. All coatings were applied via brush onto the outer surface of the PVC pipe. Test coatings consisted of the VMCA resin dissolved in methyl ethyl ketone (MEK.) The control test articles, for this study, are PVC pipe with no coating and PVC pipe coated with VMCA neat. The test article coatings consist of a variety of test additives incorporated into the base VMCA resin/MEK coating formulation then applied to the PVC pipe. The test articles were partially submerged within a 100-square-foot area in an attempt to make ocean conditions uniform and exposure is as simultaneous as possible in order to allow a direct comparison of bio-fouling activity with high confidence. The test articles were mounted over four-foot cut section of 0.75” PVC schedule 40 pipe driven vertically into the ocean floor. Stationary mounting allowed high and low tide lines to be observed. Each test article was identified with a weather-resistant, pressure-sensitive label placed at the dry end. C PVC pipe coated with VMCA / 10% phthalic anhydride by wt. D1 PVC pipe coated with VMCA / 10% MOSI agent by wt. D2 PVC pipe coated with VMCA / 15% MOSI agent by wt. E PVC pipe coated with VMCA / 10% wasabi powder by wt. MX PVC pipe coated with VMCA / 15% myrrh by wt. MY PVC pipe coated with VMCA / 15% frankincense by wt. N PVC pipe coated with VMCA / 15% neem oil by wt. Test article II is not a coating. It is constructed using clear, 2 mil PVDF 720 extruded film wrapped around the PVC pipe and held in position with stainless steel hose clamps. Test articles M, M1, MS, MX, MY and N were part of the first study. They were placed in the ocean starting on June 19, 2007 and removed for analysis on September 16, 2007. Test articles A, B, C, D1(MOSI) and E were part of the second study. They were placed in the ocean starting on June 15, 2008 and removed for analysis on October 2, 2008. Test articles C.75, II (PVDF) and D2 (MOSI) were part of the third (long) study. They were placed in the ocean starting on November 28, 2007 and removed on October 2, 2008. Very little barnacle activity was observed during December 2007, January 2008, February 2008, and March 2008 so they remained in the ocean until October 2, 2008. After uninterrupted exposure, during which the average ocean temperature was 84oF, control and test articles were removed from the ocean and placed on a mounting fixture for examination and photographing. They were rinsed with fresh water to remove loose fouling and expose the barnacle population and biofilm development. Each individual barnacle or mollusk was counted and recorded, and test articles were retained for further study. 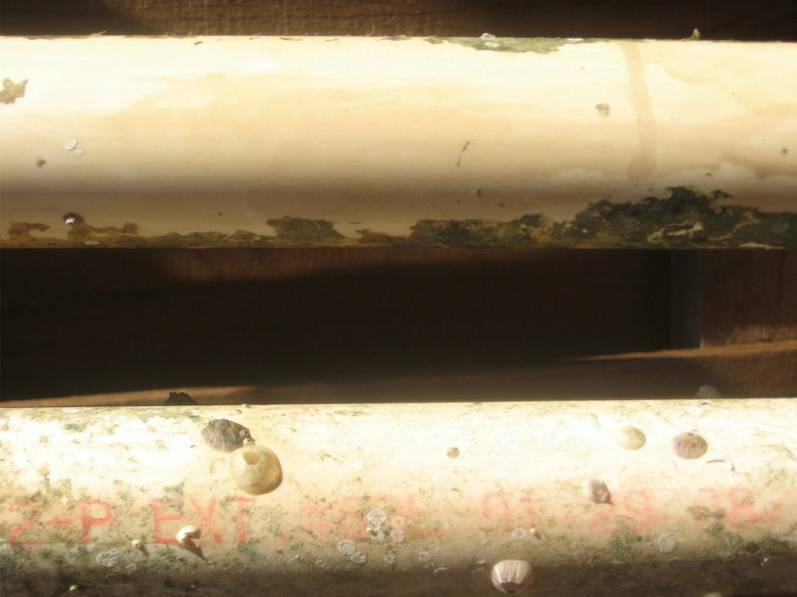 Test results are reported as barnacle individuals counted, which allows for the ranking of the effectiveness of each experimental maintenance coating. Barnacle count (TC) minus control article barnacle count (CC), divided by the control article count (CC) multiplied by 100 is reported as barnacle fouling comparison % (BFC), as expressed in the following: BFC = 100 (TC-CC)/CC. A positive BFC percentage represents an increase in the growth rate compared to the control and eliminates the coating formulation as an anti-fouling candidate. The MOSI test article D2 showed a 97% reduction in barnacle development compared to the uncoated control test article C. Approximately one-half of the test surface area was rinsed clean with no evidence of exposure. Only one adult barnacle was observed on the entire test article. The rest of the count consisted of juveniles 2-5mm in diameter starting to develop. There was evidence that many more juveniles of the same size existed but could not hold on. Test article II (PVDF film) showed a 98% reduction in development compared to test article C.
Test D1 (10% MOSI additive) D2 (15% MOSI additive) shifted to a brown color after 14 days of exposure. However, they remained in excellent physical condition with gloss maintained and good adhesion to the PVC pipe surface. The film was tested using ASTM D3363 Standard Test Method for Film Hardness by Pencil Test, which indicated an increase in pencil hardness from HB to 4H during exposure. Since the test coatings contained only the MOSI additive and VMCA resin, cross-linking between the VMCA resin and MOSI additive is the only explanation for the increase in hardness and color change. No other coating formulation in the study displayed these properties. In conclusion, the study confirmed that the concentration of the MOSI additive required to achieve optimum anti-fouling performance is 15% by weight or more. This MOSI formulation’s anti-fouling efficiency is comparable to PVDF homo-polymer film, making it a practical alternative to tin and copper bottom paint. As expected, this study shows that polyvinylidene fluoride homopolymer (PVDF) film is an effective anti-fouling surface. PVDF is a biologically inert polymer so it has no effect on the organism’s sensory ability. It is not a MOSI agent. Its anti-fouling performance is due to its unique properties that make its surface highly resistant to adhesion like Polytetrafluoroethylene (PTFE) or Teflon. It is also an attractive polymer for this application due to the fact that it is unaffected by outdoor weathering and solar UV radiation. It is impractical for anti-fouling due to its high cost, need for exotic solvents and surface properties required to make it bond to a ship hull. Work is underway to find a more practical means to commercialize PVDF for field application. The MOSI agent coating is a practical solution to barnacle fouling as it can be applied easily to boat hulls and its cost is low. It also is durable (non-ablative) and non-toxic, making it a vast improvement over copper bottom paint. The MOSI agent coating formulation, dissolved in MEK, ethyl acetate or t butyl acetate (a VOC exempt solvent), could be coated directly to aluminum or steel and maintain good adhesion. Primer coatings would allow the MOSI coating to be applied to any surface found in marine hull construction. Because zebra mussels also secrete a protein adhesive, it can be hypothesized that a MOSI coating formula, similar to the one tested on barnacles in the Gulf of Mexico, would work in much the same way. A zebra mussel fresh water fouling study is planned for summer 2018 in the Portage lakes near Akron, Ohio. Gel coat/fiberglass, a common boat hull material of construction as well as aluminum and steel test articles will be used. Hugh Barrett has been a technical consultant with APV Engineered Coatings since 2002. He is responsible for formulating coatings, polymer and solvent research for practical coating applications, designing and building lab test instruments, and providing advice on flammability and fire safety. He has been in the coatings industry since 1987, starting as a research scientist with Polyplastex International and also working as a Federal Aviation Administration Designated Engineering Representative, among other positions.